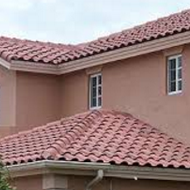 A roof is what completes the outside look of your Westminster home. The roof of your home might be made of shingles, wooden planks, metal or other materials. While all of these materials match different styles of houses and make them look amazing, they are still susceptible to dirt, mold, mildew and stains. The Pressure Washing Guys is an Orange County power washing company that provides professional Westminster roof cleaning services. Our professional roof cleaning services involve a soft washing process that will have your roof looking brand new. 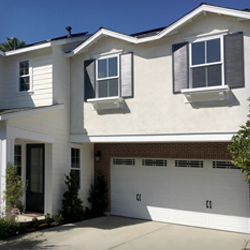 The Pressure Washing Guys is a locally-owned and operated business that proudly services the Orange County Area. We believe in providing customers with high quality workmanship, affordable prices and courteous customer service. We have already stated that your Westminster roof completes the exterior appearance of your house and makes it look amazing, but your roof does more than just that. Your roof is your home’s protection from the outside world. It provides protection from the harsh elements such as rain, wind and storms. It also provides protection from the hot sun bearing down on you. If your roof is left improperly maintained, the results could damage the roof’s structure. At The Pressure Washing Guys, our professional Westminster roof cleaning services will make your roof look brand new again for a fraction of the price to replace it. When it comes to cleaning a roof, you don’t want to use a power washing system. A high powered pressure washer could damage the structure of your roof and cost you more money in repairs. At The Pressure Washing Guys, we use a delicate soft washing service to clean the roof of your house. This soft washing process uses a combination of eco-friendly chemicals and low pressure rinse system. These chemicals are completely safe and will not harm you or your property, but they will eliminate any dirt, mold, mildew or other contaminates from your roof top. This is the best way to thoroughly clean your roof top without damaging the roof’s structure. Power washing is the process of removing surface material such as dirt, mud, mildew, mold and other pollutants from the exterior features of your house. Power washing and pressure washing are practically the same service except for one detail. Power washing uses hot water temperatures to break down dirt while pressure washing relies solely on the high pressured water to blast dirt from an object. The Pressure Washing Guys provides both power washing and pressure washing services to the commercial and residential customers in Westminster. Power washing is not recommended for cleaning the siding of a house. Since it is so powerful, the results could cause damage to your siding. Our professionals use power washing services to clean concrete areas and hard surface features around your house such as decks, patios, pool areas, fences, walkways and driveways. Our driveway cleaning service removes stains, marks, grease, grime and oil without damaging the surrounding areas. Driveways are one of those areas that suffer from mishaps like tire marks, grease, grime, oil and rust. If this sounds like your driveway – just call The Pressure Washing Guys. Our knowledgeable technicians properly diagnose your driveway’s condition and, by using the right equipment, techniques and environmentally friendly cleaning solutions, can safely return your driveway from ignored to restored! Pavers add elegance to any property. But just like anything else, they accumulate natural stains such as grease, grime, oil and pet and water stains. Other not so natural stains like tire marks, gum, paint and chemicals can add to the unsightly appearance. Left untreated, your property looks neglected. Paver cleaning must be performed on a regular basis in order to keep them looking their best. In addition to cleaning, a sealer protects the pavers, makes them easier to clean by making it harder for oil and grime to enter. 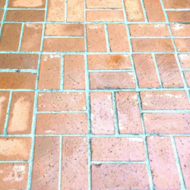 The Pressure Washing Guys have the experience to perform your paver cleaning with the proper environmentally friendly cleaning agents and correct water pressure and then finish with the right sealer to protect your investment. Whether you are looking for appearance, protective or stabilizing effects you need, there are different sealers to choose from to give you the look and results you desire.